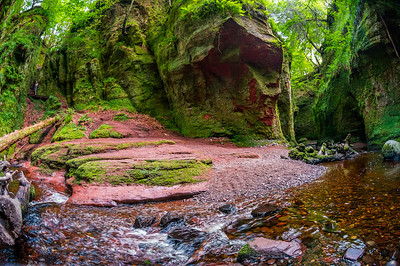 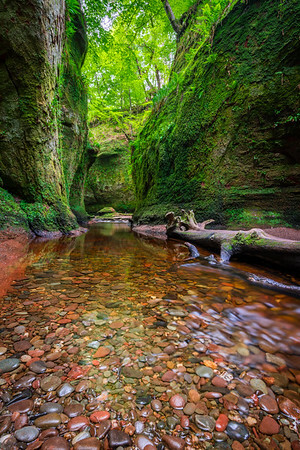 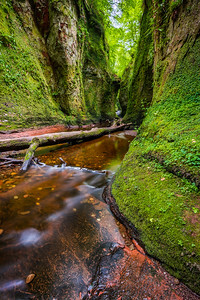 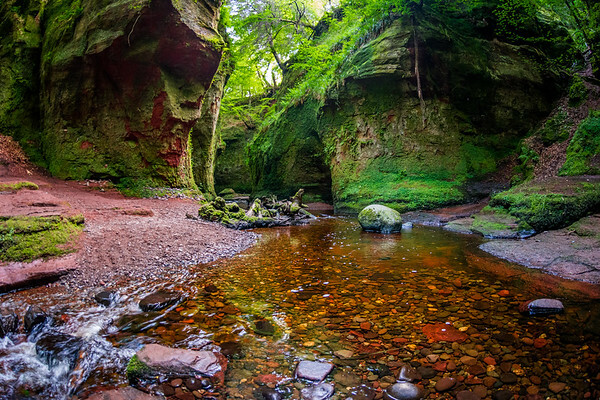 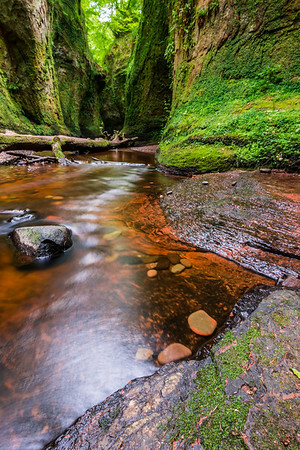 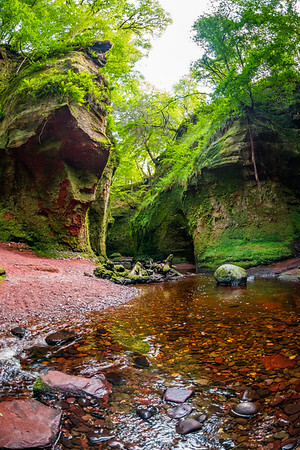 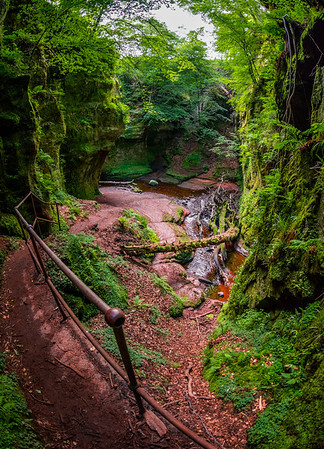 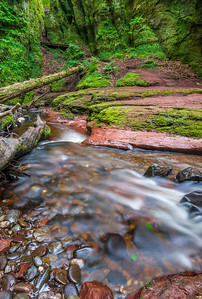 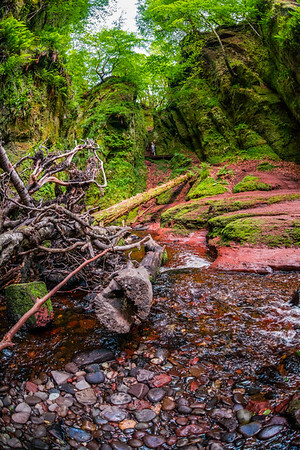 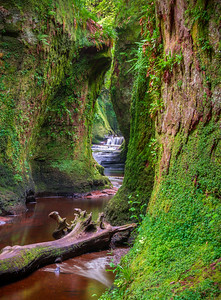 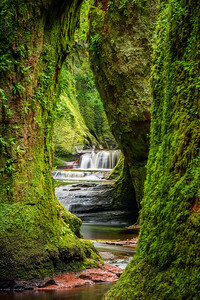 Finnich Glen and the natural red stone platform contained within, known as The Devil's Pulpit, is a surreal and magical hidden Scottish treasure. 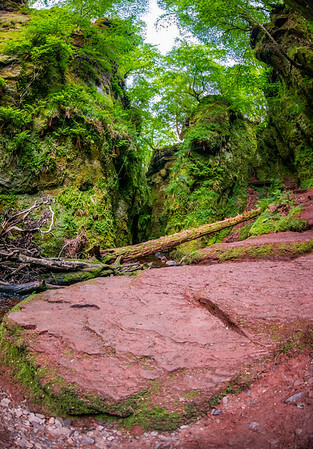 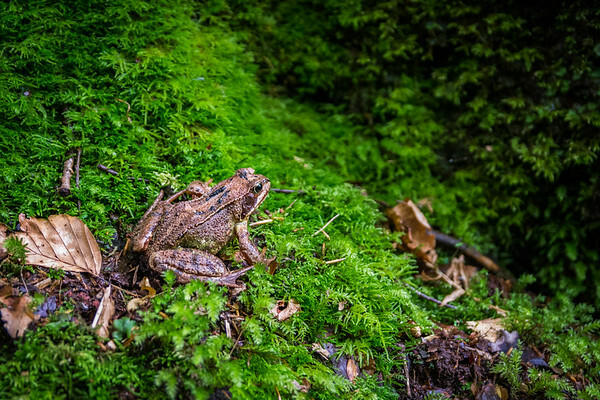 The vibrant green moss and red stones here and the feeling of isolation from the outside world, are like nothing I've experienced before. 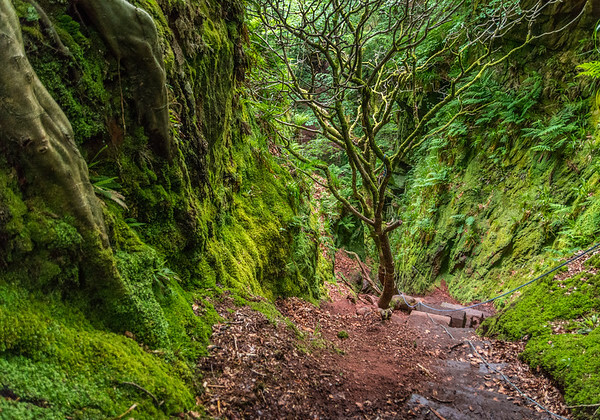 Looking down Jacob’s Ladder leading to The Devil's Pulpit. 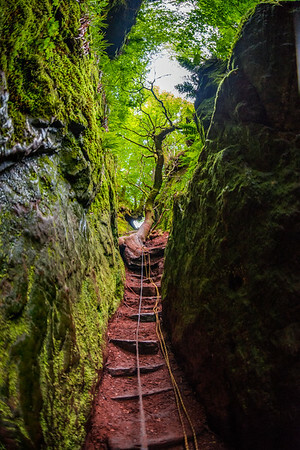 At the bottom of Jacob’s Ladder, looking down onto the red pulpit.